Dr. Anthony C. Corrado is an accomplished and highly trained surgeon specializing in cosmetic and reconstructive surgery. He is triple board certified in Facial Plastic and Reconstructive Surgery, Cosmetic Surgery, as well as Otolaryngology-Head and Neck Surgery. His practice philosophy hinges on physician integrity, patient trust, and patient safety. Dr. Corrado believes in natural appearing results, which promote both outer and inner beauty. 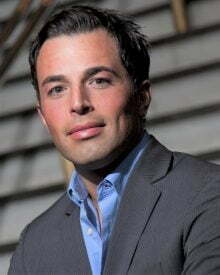 A native of the east coast, Dr. Corrado graduated with honors from New York University. Dr. Corrado went on to earn his medical degree from the University of Medicine and Dentistry of New Jersey. He remained at the University of Medicine and Dentistry of New Jersey to complete his postgraduate residency training. There he completed a prestigious six year comprehensive training program in Otolaryngology/Head and Neck Surgery, and Facial Plastic and Reconstructive Surgery. During his residency, Dr. Corrado also received training in Head and Neck Cancer Surgery at the Memorial Sloan Kettering Cancer Center in New York. In addition, he was honored to serve as chief resident during his final two years of training. Following residency, Dr. Corrado sought further specialty training solely in the field of cosmetic surgery. He completed a one year fellowship training program in cosmetic surgery in Newport Beach, Beverly Hills, and Rancho Mirage, CA sponsored by the American Academy of Cosmetic surgery. During his fellowship he received expert training from leaders in the field of plastic and cosmetic surgery. Dr. Corrado has received many awards for his surgical expertise and has published in the cosmetic surgery literature. Based on his expertise in facial rejuvenation, he has been an invited lecturer at a number of national symposia. Dr. Corrado has also appeared on the emmy award winning talk show “The Doctors”, as a member of show host Dr. Andrew Ordon’s team, performing “The Total Body Lift”. Dr. Corrado provides his patients with the full spectrum of facial cosmetic and reconstructive procedures. His areas of special interest include traditional rhinoplasty, revision rhinoplasty and airway surgery, facelift, mini facelift, blepharoplasty, and facial fat grafting. View more information on his website.